It may come as a surprise to you that I like to organize. Actually, "like" is an understatement. You know how some people thrive off of controversy, others thrive on taking risks while others thrive through playing music? That is pretty much the same feeling I get when I can organize something successfully. I've had people ask me about specific things around my house and how I keep them in order. So I thought it would be fun to do a series on organization. We'll start simply, don't worry. Mail is something you receive every day. It can really stack up quickly and get out of control before you know it. Here is a simple way to keep your mail in order to help keep control of clutter in your house. In fact, I do this on the way up our driveway after getting the mail out of the box. Walk straight to the trash can and throw away the junk. Place the bills on your desk or with your other bills and checkbook items. It's that simple. It is one of the first things that begins to start piling up in a house, but one of the easiest to sort and begin organizing on a day-to-day basis. Zeke: "Mommy, what are you doing?" Me: "Making the pizza dough." Zeke: "But you said we could eat on the floor and watch a movie!!!!" Zeke: "You said we could eat on the floor!" Me: "But what does that have to do with me making the dough?" Zeke: "Dad, that song reminds me of something." Zeke: "When we used to go to Monkey Joe's at our old house in Charlotte." Josh: "Why does that song remind you of Monkey Joe's buddy?" Zeke: "I just told you daddy...because we used to go there!" Zeke: "Moooommmm...how am I supposed to walk in the wet grass when I have just socks on?" It appears as though I have sparked some interest from many of you about my straw bale garden. Let me just preface this by saying, I don't really know what I'm doing. 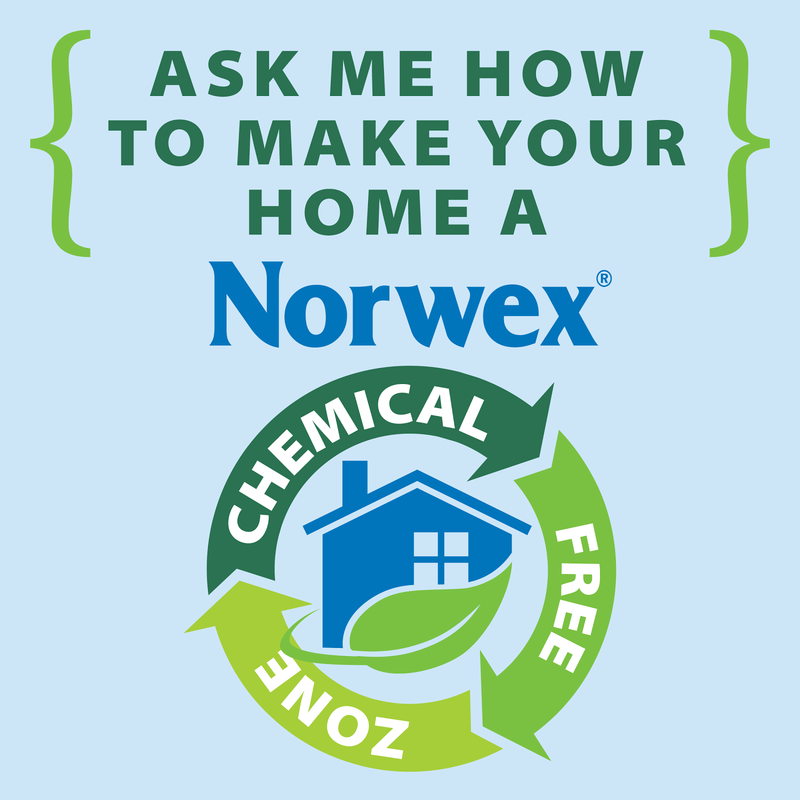 This is the first year I am attempting this and, as I quite frequently am reminded of, I kill just about everything green around this house. 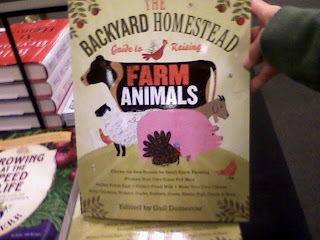 With that in mind, I do have a couple of helpful sites with step-by-step information on how to get your own straw bale garden started. And since I never profess to be better than the average gardener I will let these sites speak for themselves. Why would you choose to do a straw bale garden? 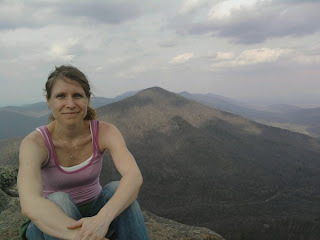 We live on top of granite...literally. It is about six inches down under the whole town of Rolesville. It makes gardening even that much more difficult. You don't have to have a large yard to have this kind of garden. Just large enough to put a few bales of straw. You don't need much soil. It really saves money in the long run. Where did you figure out how to do this? First of all, I saw the idea for the first time on a fun blog, which unfortunately no longer exists:( I figured it was worth a try. Her bales looked awesome by the time it was all said and done. Do you have any pointers for us? Yes, I have already learned that you are supposed to place the straw bales sideways, with the string around the perimeter and the loose ends up and down. This will help keep them together as they begin to disintegrate. I turned and rearranged my bales yesterday. Do you have any other resources that you can pass along? If you are still unsure about this technique or have more questions, this site may be able to help. 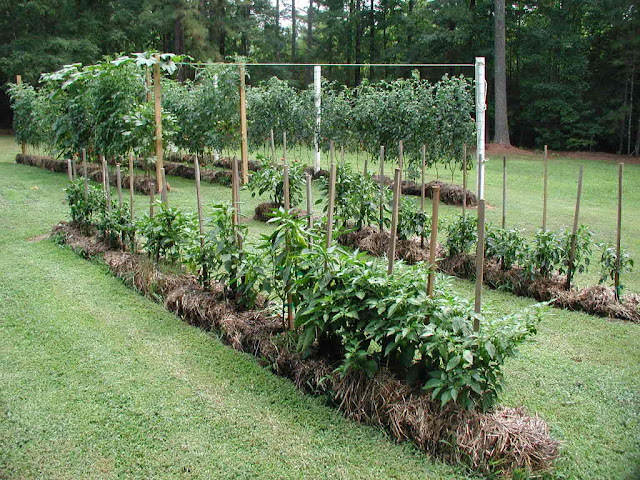 It goes into great detail about the type of bale you should buy, the different layouts of your garden, how to plant your seedlings and how to take care of the garden. And if you're still not sold on this idea, you can read more about straw bale gardening HERE, HERE and HERE. Hopefully by the end of the summer my garden will look something like this! Hey, a girl can dream can't she? Unfortunately, many of these links no longer work, but thankfully the internet has unlimited sources as to what kind of materials work best for these kinds of gardens. It's funny how our Christian walk works sometimes. The closer we get to Jesus, the more we find out about ourselves. The times we actually ask the Lord to point out the sin in our hearts, which should, in fact, be more often than not, I believe, He actually follows through, even more than we actually really want Him to! Many of you know our struggle to get pregnant over the past year and a half. See, our first two kids came fairly easily, without hardly any effort at all...well, you know what I mean;) Then came the time we wanted to try for number three. We tried, and tried and tried. We ended up having a miscarriage 7 months before actually getting pregnant with Micaiah. Then the cycle began all over again. With another miscarriage last spring and then the Tubal pregnancy this past December. I'm often asked if I feel a sense of competition in my family because of all the sisters-in-law, and someone always being pregnant (there will be 17 grand kids on just Josh's side of the family by the end of 2011)! I can't lie and say that I never feel anything but joy when I hear of another one of my sisters getting pregnant. Don't get me wrong, I am overjoyed for the life growing inside of them, but I admittedly am faced with my inability to get, or be, pregnant. There is nothing wrong with wanting to be pregnant. I truly feel that pregnancy is something that God puts a yearning for in a woman, but when it becomes a struggle, a stronghold, a catalyst for sin, that is when something needs to change. This longing to be pregnant was slowly becoming an unhealthy desire. It was a burden in my heart and soul. It was that one thing that I refused to give up to the Lord, as if I actually had any control over it in the first place! Here is something I have learned from reading through the Old Testament this winter, the Lord opens and closes the womb. He is the one who decides. This may seem absolutely absurd to some of you, but I feel the need to explain how my mind works. I am so frugal that when I think of more babies I think of all the "stuff" that goes along with it. So, we've been moving baby "stuff" around with us with every transition. I mean, who wants to have to worry about having to buy everything all over again when you can just hang onto it for future use? So, when I go on my frequent seasons of "nesting," I am continually faced with the bins (and bins and bins) of clothes that my children have outgrown--the baby swing, the infant car seat, the toys--that just sit in our attic collecting dust. It bothers me. In my mind it is just "stuff" taking up space. I don't like to hang on to stuff just to have it! If I have it, it needs to be used. Here comes the internal struggle. I feel as though I am being stretched. Areyna just turned six and I want to move forward with her, but because of this "stuff" in my attic, I am continually being reminded that we need to finish the baby stage so we can get rid of this stuff and move on with our lives. I have an internal struggle with outward reminders. This pressure to finish our baby stage in life was coming directly from my own unhealthy desires. I knew something needed to change. One day, shortly after this realization, the Lord so clearly spoke to me that I could do nothing short of immediately bringing it to Josh and taking action. I knew what the Lord was asking me to do. He asked me to let it go. Literally. He was telling me to get rid of all the stuff. If that baby stuff was holding me back, then I simply needed to let it go. It was no longer a matter of being wise stewards of what the Lord had given us, because it was becoming a stronghold to me. So, as I sat in the middle of my living room in the midst of baby clothes bins, bottles and rattles, I sobbed. Because, we all know that obeying the Lord isn't always easy. I did it joyfully but that didn't make it easy. I can't explain to you the burden that was lifted off of my shoulders as I put 6 bins of baby clothes into a car full of hispanic children--the freedom that came as I gave many other things to my sisters who are expecting. To me it is a step of faith. Believing that, if we were to ever get pregnant again, the Lord will provide for that baby, just like He did for our first babies. I won't lie and say I haven't had a few emotional break-downs after the realization hit that all our baby stuff is now gone, but I will tell you that I know beyond a shadow of a doubt that I am free! That I obeyed the Lord and that, for the first time, when I continue to hear of other friends and family getting pregnant, I have only joy! And what a blessing that is to my heart. What are you holding on to? Maybe you don't even know what is weighing you down. Maybe you need to ask the Lord to "search me God, and know my heart, test me and know my anxious thoughts." I promise you, He will reveal what is holding you back if you honestly ask Him to. But be prepared to take action, because once it is revealed you will be held responsible. This week has been such a boring week. 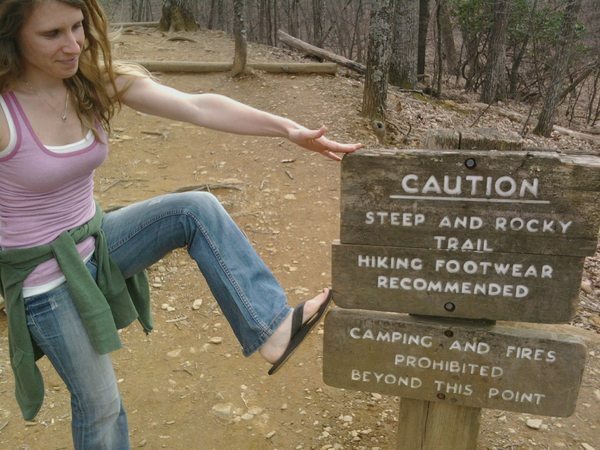 I wish we lived a more adventurous life. All we ever do is sit around at our house and wonder what in the world we should do. We'd never take the whole month of March to celebrate our anniversary! March was strictly full of ministry. And like I said, we never mix ministry with our personal lives. But, if we were to couple ministry and couple get-aways we'd surely begin missing our kids. I mean, I'm first and foremost a mom. That is what my primary focus is right now. So, when I am away from my kids, I miss them and continuously call to check up on them and wonder what they are up to, every minute of the day. So, when Josh looks off into space, missing our kids, and asks if I miss them, I would never respond with a "Nope, I'll sure be glad to see them...AFTER our conference is over." When I finally do reunite with my kids, however, I always keep my cool and not smother them with hugs and kisses, demanding that our mandatory nap day be spent together, just so I can wake up with my kids cuddling on either side of me. All Things Updated: The Adoption And "2300 In 7"
You may have gotten an invite to our Facebook Event "2300 in 7" last week. Last week was a big week for us. We accepted our referral, which meant that we now owed our final Agency Fees. We were instructed to sign our "Referral Acceptance Letter" and send in our $3300 within 7 days. I'm not sure why we needed to get it in within 7 days, but we knew that we better get on it, ha! Like always, we knew the Lord would provide, but as usual, we had NO IDEA how it was going to work out. Who says that it's boring to be a Christian?! Well, we created the "2300 in 7" event in hopes that the Lord would impress upon His people to help us out. And boy, did He! 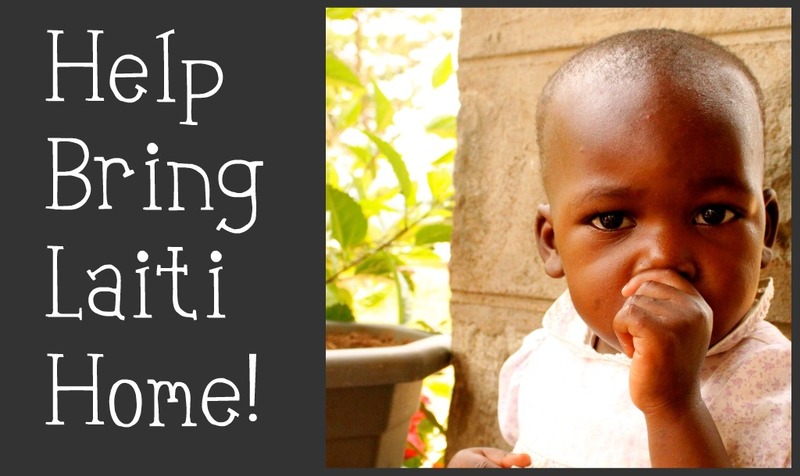 The Lord not only provided that $2300 we needed within just 4 days, but He provided the additional $3000 we needed to wire over to our Attorney in Uganda to begin the process from that side! This is the quickest we've ever had to raise so much money in such a short period of time, but when God calls you to do something, don't you ever think, for one second, that He won't show off! I only share this to boast in our Great God, and because the Lord has instructed us to share our Ebenezer's. It's good for God's people to be reminded of His provision. A lot of others have asked how much we still need to raise for our adoption. The figure that I have come up with from start to finish of how much our process will cost is roughly $33,000. If you look at that figure it may make you pee in your pants, stop breathing...or simply make you question if you heard the Lord correctly as to what He has asked you to do. Especially if you are in ministry with an inconsistent pay check. I also write this to encourage any of you who may be praying about adoption, but think that you just can't afford it right now. I mean, really, who can? Anyway, I created a little money tracker so that you all can keep updated on our progress. This is the amount that we have been able to pay so far! I cannot begin to explain how humbling this whole process has been for us as we sit back and watch God and His people at work, as you all financially intercede for us and our little Ugandan daughter. So, thank you, from the bottom of our hearts! All Things Updated: "Change For Change"
We received our second "Change For Change" donation in the mail this week! We haven't had a chance to go count it yet, but we're so excited to. The end of March is just around the corner. If you have been saving your change for us don't feel like you have to stop now! But, if your bottle is full and you are wondering how to get it to us you can do one of two things. 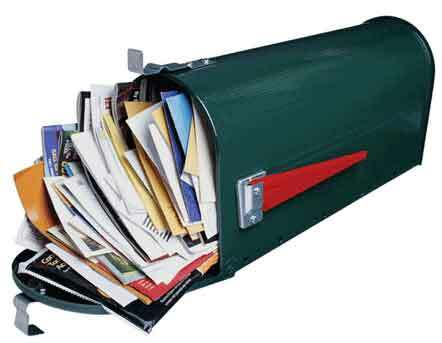 1 - Mail your change in to the address below. Note: Shipping can get pretty expensive since coins are so heavy. 2 - Go find a coin counter and cash it in yourself! Then you can mail the donation to the above address. Whatever is easiest for you. I also wanted to take this a step further. You may not know that our little girl is going to have a cousin adopted from the exact same orphanage. Josh's brother and wife are in the exact same place we are in our adoption! How awesome is that. The girls are only a few months apart. We want to help Our sweet daughter's cousin get home too! I am going to propose that you get another bottle ready for our little girl's cousin. How special would it be if we could bring these sweet girls home TOGETHER! Our straw bales are about ready for us to plant our seedlings in them. But, how can I not?! Just check out our seedlings! If you knew my past with plants you'd be giddy with excitement too. Especially the fact that there is actually green stuff coming out of the soil where we planted the seeds...what?! Here are our straw bales that I finally began fertilizing. After the second day of fertilizing them I decided that it needed a little bit of soil on the top. It just looked weird without some brown on it, honestly:) I'm gonna be a GREAT gardener, ha! I've alternated watering one day with fertilizing the other day for about a week. I think we'll check the weather to see if we can plant our seedlings next week. I don't know how much longer they'll hold up in their little homes they are in right now. Our job is so hard to get used to sometimes. We don't have normal hours and nothing is ever consistent. We may be wondering what we're doing with our lives one month and then so busy traveling that we only get to sleep in our own bed a couple of days the next month. It makes for an exciting journey, though! March has been one such month. We've only slept in our own bed for 2 nights over the past week and a half, but oh the fun we've had. This past Wednesday was our Nine-Year Anniversary. We opted for another Frugal Anniversary this year, seeing as we are trying to save our money to bring home a little girl from Uganda, ha! We ended up staying in the basement at Josh's parent's house at the Via Hotel where we could come and go freely while Meme and Poppie gratefully watched the kids upstairs. We have a tradition of saving up our gift cards from Birthdays and other holidays for this special event every year. We always like to see how much money we can NOT spend as we celebrate our marriage together. 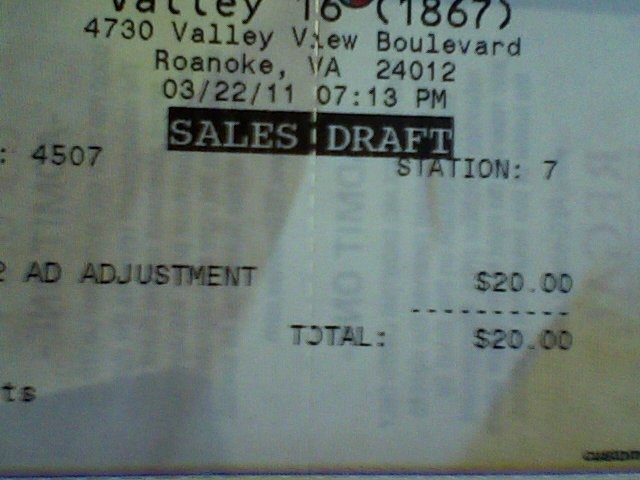 You know the last time we saw a movie it only cost $8.25. What is this world coming to???? ...but Josh said that maybe we should try this one first, ha! Right now I am sitting here listening to big band music while Josh and the boys create song #4 for the Resurrection Songs Album that comes out next week. I love our job! After we finish recording today we are heading to the beach for a couples retreat and then we get to be back at our home church on Sunday! I love our lives. 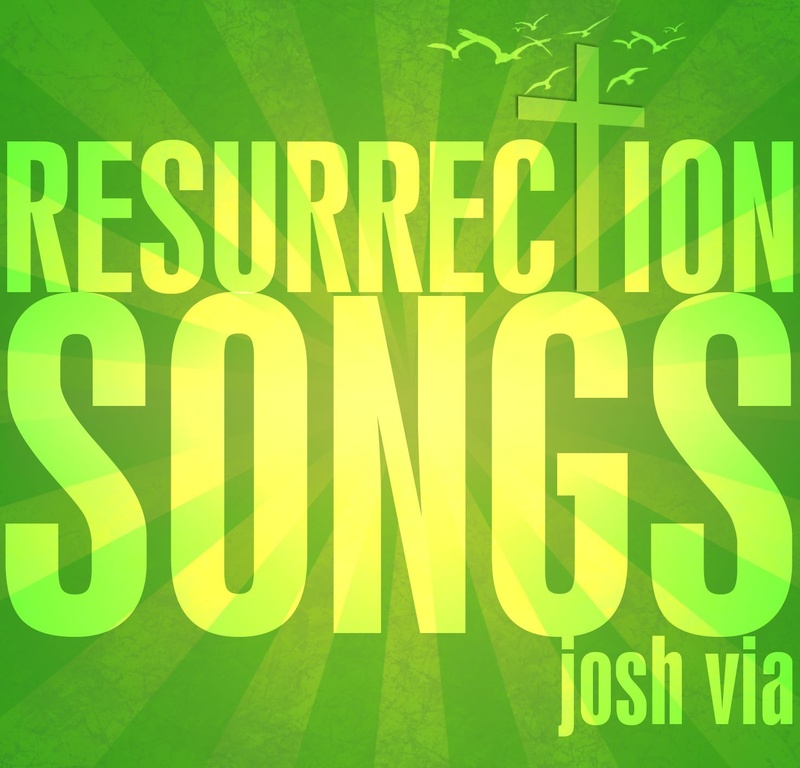 Here is the link for song #3 of the Resurrection Song album that goes along with the devotional. Listen and download and spread the word:) 100% proceeds go toward our adoption! We got this awesome science kit for Christmas that our kids have been dying to get into! 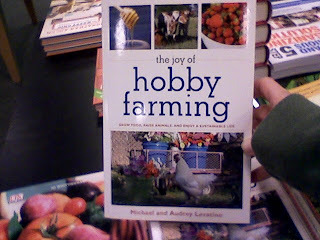 I decided that I felt brave enough to venture into the world of experiments and found a good one to get started with. We talked about the differences between water and oil. Areyna got to see first hand what the oil did when you mix it with the water. We talked about how the oil and water aren't friends with each other and that it is hard for them to get along. But then we mixed a little soap in with the oil and water. We then talked about how the soap was the "agent" that helped the oil and water become friends and mix better together. A quick update on Areyna's reading: she has begun to sound out words on her own for Zeke and herself. She has just amazed me with how quickly she has picked up on reading. She is reading 7 and even 8 letter words. I know! But do you love me? After nine years, why talk about love right now? Taken from Fiddler on the Roof's "Do You Love Me"
You can be expecting "If I Were A Rich Man" next, ha! We are in the thick of the adoption process now. I have filled out more paperwork than when we purchased our first home. We've been humbled to tears on more than one occasion, in fact, I can't even count all the different ways the Lord has graciously worked through His people on our behalf and on the behalf of our daughter who is 6,000 miles away, as we continuously see the Lord working through His people to help us bring our little girl home. But with the process comes a sort of sobering realization. Our life as we know it is going to change forever. I know this is a wonderful thing. But it is so scary at the same time. There is, though, one thing, in reading all these books, that I hadn't even thought about. Did you know that with the adoption process comes times of grieving? I sure didn't. I hadn't even really thought about it until now. But really, think about it. Our little girl came from a birth mommy and daddy. I wonder if our little girl's birth mom knows that someone, a stranger, wants to adopt her little girl yet. Sure, she relinquished her daughter to this orphanage, but she knows exactly where her little girl is. Now, some Americans want to come over and take her away. I can't imagine how that must feel. And that's the grieving you feel for the birth mom. This isn't even to mention the grieving through loss you will experience with your adopted child. She is about to lose all that she knows, even when what you have to offer is SO much better. She hasn't come to that realization yet. All she knows is that she is going to a place she doesn't know, with people she doesn't know, playing with toys and kids she doesn't know and eating food she isn't familiar with. So, yes...yes there is grieving, a lot of grieving...involved in this process. We are uncertain about a lot of things, but like our Pastor preached about this past weekend, the Lord knows how it is all going to play out. He knows what He has called us to do and we just need to hang on tight, because He is about to put on a show of how miraculous He truly is! When I have a task to get done I always stay completely focused to finish the task. So, when I get in the shower, after a long day, to get all sexified for my hubby who is going to be home soon, nothing gets in my way. Especially if it is a task, such as shaving my legs. Which is a task that always happens on a regular basis. And since I always stay on task and focused until the job is complete I would never forgot to shave one of my legs and not even notice until I go to put lotion on. But, if that were to happen, I'm SURE I'd hop right back in the shower to complete the job. I would surely not respond with an "Oh maaaan!" and then an "Oh well..." and shrug it off because I had already completed the whole get-out-of-the-shower-apply-lotion-and-brush-my-hair ritual which as a woman, you know how long that ritual can take! Well, at least I'd get around to finishing the task the next time I got in the shower and never wait another 3 days before completing this feat. on all He has made." He raises up all who are oppressed. Zeke god a backpack a couple of months ago. It goes everywhere with him. It even sits across the room so he can see it when he goes to bed. He is constantly going through it to make sure everything he needs is inside. It's actually been kind of nice sometimes, because when we are going to be out of the house for a while and I tell Zeke, "Now buddy, if you have to go potty DO NOT WAIT TOO LONG because I didn't bring an extra set of undies." He just simply replies, "It's OK mom, I have some in my suitcase:)"
He packs extra clothes if we are going to be going out of town, albeit it's usually all jammies and a superhero T-shirt, ha, and toys for the trip. He knows exactly what is inside...but I never do. So, one morning during breakfast I snuck in to take a look for myself, and this is what I found! No wonder I keep finding him laying on his back, having fallen backwards because of the weight in his bag, ha! Here is the second installment of "Resurrection Songs" by my very own Josh Via, for your listening enjoyment. 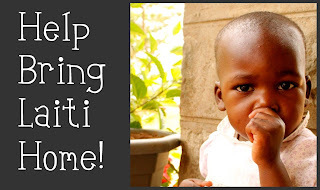 Downloads are $.99 and they go directly to the $2300 we need to make in the next step for our adoption. We've got 6 days to raise this money! Please help us spread the word! "...how does your garden grow? This is more like how my garden will grow, ha! In hopes of at least one bean to sow." Tomatoes, Cucumbers, Onions, Lettuce, Beans, Peas, Watermelon, Hot Peppers, Pumpkin, Cilantro and Basil. We've also started several Merigold plants to border our bales to keep the pesky bugs off our grub! We came home from our weekend away to a pleasant surprise. We had a couple of Tomato plant sprouts and quite a few Merigold sprouts! Now, we have sprouts from every kind of seed we have planted in our windowsill! We were SO excited! BTW, we are still just watering our bales outside. I think we'll start "fertilizing" them next week. 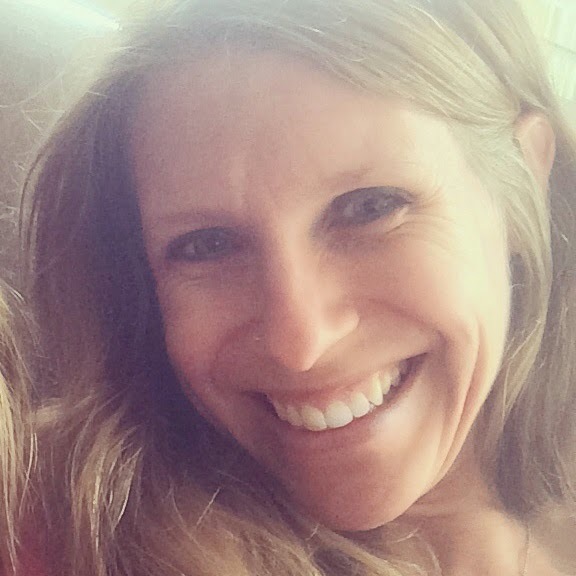 I have several friends who are either pregnant with their first child, just had a new baby or are beginning the "discipline stage" of parenting who have asked for recommendations for good parenting books. 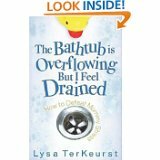 Here is a list of some of my favorite resources that have helped outline how Josh and I parent. Let me know if you would add to the list and what book it would be! Let The Children Come Along The Infant Way (Let The Children Come Series, Volume : Many of you know this as "Babywise" and as soon as you hear it you shudder and swear never to read my blog again. But, let me just say that this book was a life saver to us as new parents. Not only is it just a book, it gives great practical advice and guidelines as to what is healthy and normal for the average child. It doesn't state to have all the answers for every child, but it does let a new mother know from an experienced mother how to keep a healthy milk supply, how to teach healthy sleeping habits, how much a baby should be eating, pooping and sleeping. A lifesaver, I'm telling you! 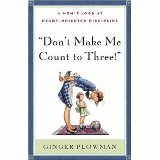 Don't Make Me Count to Three: a Mom's Look at Heart-Oriented Discipline - I absolutely LOVE Ginger Plowman. I attended a parenting seminar that she gave several years back and am still referencing things I learned that weekend. I am an advocate for everything she has written! Shepherding a Child's Heart - Josh and I strongly feel that in order to correct behavior long-term you must get to the heart of the issue. I mean, isn't that what your counselor tells you when you go into your weekly sessions? He/she will work with you until you get down the bare bones and figure out what is at the bottom of whatever has snowballed out of control. It is no different with children. If you know the heart of what they are feeling then, not only can you guide them accordingly, but it will hlep you, as a parent, have more compassion and patience where it is needed. The New Strong-Willed Child -This was a great book too! We were desperate for direction with Zeke and this book was really helpful to differenciate between his rebellious outbursts and his stubborn tendancies. Here is my write-up about the need for this book. 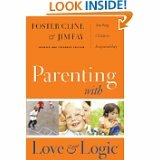 Parenting With Love And Logic (Updated and Expanded Edition) - Now, this is one of those books where Josh and I had some issues with a lot of what was said, but one thing that stuck out to us that was a great take-away, was the point that we should give our children choices. Here is what I think about choices and children. Adopted for Life: The Priority of Adoption for Christian Families & Churches - This book is not just for families praying through or in the process of adoption. What an eye-opener it has been for us! Josh wrote an excellent review about it HERE. Making Children Mind without Losing Yours - Read my review here. Great, practical parenting advice. 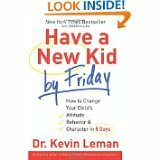 Have a New Kid by Friday: How to Change Your Child's Attitude, Behavior & Character in 5 Days - Here's my review. I feel like Josh and I are pretty likable people. When we go to lead worship for a conference I think we are fairly easy to get a long with. I mean, we don't demand much and Josh rarely looses his temper with the sound guy (I'm being facetious, he never loses his temper...EVER!). So, when we sit down after our first set on Friday night to soak up what the Lord had laid on the speaker's heart to share with these women, we would never get asked to leave. But if we were asked to leave for some bizarre reason we would surely comply so as to avoid being asked to leave again, by another woman! We would definitely not take our cue and sneak out the back door to go find our hotel room only to realize that we had been set up! Oh no, that would never happen to us! We'd never enter a hotel room with thoughtfully written cards of encouragement and other sweet things to make this a very special "Anniversary" get-away for the two of us while our kids are taken care of at their cousin's house. We would totally catch on to a scheme like that. Nothing ever gets past us. Nope! Who actually has friends like that? We do NOT have friends who are that thoughtful and awesome! Besides, you are SO not allowed to mix ministry trips with personal get-aways. This weekend was amazing. Josh and I lead worship for a Women's Conference in Williamsburg, VA. We made it home long enough for Josh to unload the car, make chocolate-chip pancakes (our Sunday night tradition) for the kids, and then head out the door to finish up this weeks song in the studio. I am just sitting here in my living room reflecting on the weekend, with crickets chirping in the background, since all of my windows are open (of course), while liestening to Areyna read her little brothers books in book time. Full of all that God has been doing in my life! The friendships that He has orchestrated. The family who steps in to help, even if it means that there are so many kids that you can't fit them all in one vehicle. A husband who has loved me more and more with every year. 1 child across the ocean who WILL be here...in God's timing. A patient God who continues to teach me how to be more and more like Him. Usually when I get home from being out of "mom mode" for a couple of days, there are some mental transitions that take place on my part to get me back into the swing of things. But coming home this time was different. My one take-away from the weekend is going to be a life habit! It's something I have heard my whole life but it finally clicked. I think I finally get it! I am a million different things to different people (or at least it feels like it some days). I play a role in many different areas, but those things cannot be what defines me. I cannot be all that I need to be. I am coming home to become more like Christ so I can show Him to all the people who God has placed in my life and do all things as unto the Lord, knowing that these tasks have been given to me by God. 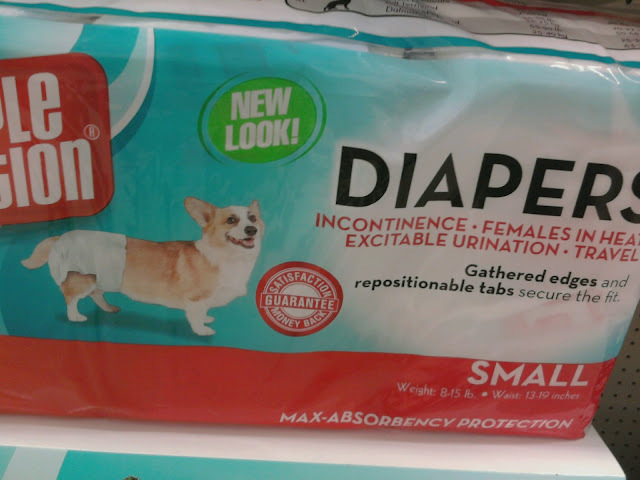 And to think that these are about the same price as a pack of diapers for a child. I could have used these a couple of weeks ago, ha! We are now the proud owners of a '05 YukonXL! I couldn't be more thrilled to be a two-car-family again. It'll be so nice to be able to run errands again. I know, you'll probably never hear me say that again, but after 6 months as a one-car family, with a husband who travels a lot, it will be a welcomed change of pace. We needed a car that could hold our growing family and it is EXACTLY what we needed...and then some! And no, that is NOT a bow on the top, although it looks like it, ha! Josh gave Areyna a "mani-pedi" for her birthday. For you males out there who read my blog (yes, I know who you are, and your secret is safe with me;), that is "code" for a manicure and pedicure combination. Anyway, she cashed in on it with him this week. You could tell as soon as she got home that she felt like an adult. But then again, when does she ever think any differently, ha! I took this picture the night I had 7 children all to myself a couple of weeks ago. Now this is how it's done folks. Step 2: Stick in a Netflix flick on the ol' computer, propped up on the counter for all to see! I did learn a very important lesson that night, though. I very seriously believe that the Lord has NOT called me to be a mother of seven children. But if He does, for some insane reason, I will be putting in a call to my doctor to up my meds.! has slowly morphed into the most elaborate fairy house ever! ...which was inspired by the movie, "Tinkerbell and the Great Fairy Rescue"
And this is Areyna's sacred Fairy house!